Water could be flowing deep underground around the equator of Mars providing ideal locations for future bases, a new study found. The springs bubble up from groundwater 750 metres deep through cracks in craters pockmarking the Red Planet’s surface. Scientists found high pressure deep below the surface forced the water through fractures within some of Mars’ craters. These springs leaked onto the surface, generating the sharp and distinct linear features found on the walls of these craters. And these water features fluctuate with the seasons on the Red Planet. In 2018 researchers supported by the Italian Space Agency detected the presence of a deep-water lake on Mars under its south polar ice caps. Now the new study by the University of Southern California in Los Angeles suggested groundwater likely exists in a broader geographical area than just the poles of Mars and that there is an active system. The findings were based on the studying the characteristics of Mars Recurrent Slope Linea, which are akin to dried, short streams of water that appears on some crater walls on Mars. Scientists previously thought these features were affiliated with surface water flow or close subsurface water flow. Dr Essam Heggy, who is a member of the Mars Express Sounding radar experiment MARSIS probing Mars subsurface, said: “We suggest that this may not be true. First author Dr Abotalib Abotalib added: “The experience we gained from our research in desert hydrology was the cornerstone in reaching this conclusion. These experiments measured the reflection of the waves from both the surface and the subsurface whenever penetration was possible. However, this earlier method did not yet provide evidence of groundwater occurrence beyond the 2018 South Pole detection. The researchers used hi-resolution optical images and modelling to study the walls of large impact craters on Mars. The goal was to correlate the presence of fractures with the sources of streams that generate short water flows. The pair, who have long studied subsurface aquifers and groundwater flow movement on Earth and in desert environments, found similarities between the groundwater moving mechanisms in the Sahara and on Mars. Dr Heggy said: “Groundwater is strong evidence for the past similarity between Mars and Earth – it suggest they have a similar evolution, to some extent.”. He added this deep source of groundwater was the most convincing evidence of similarities between the two planets. It suggested both may have had wet periods long enough to create such an active groundwater system. 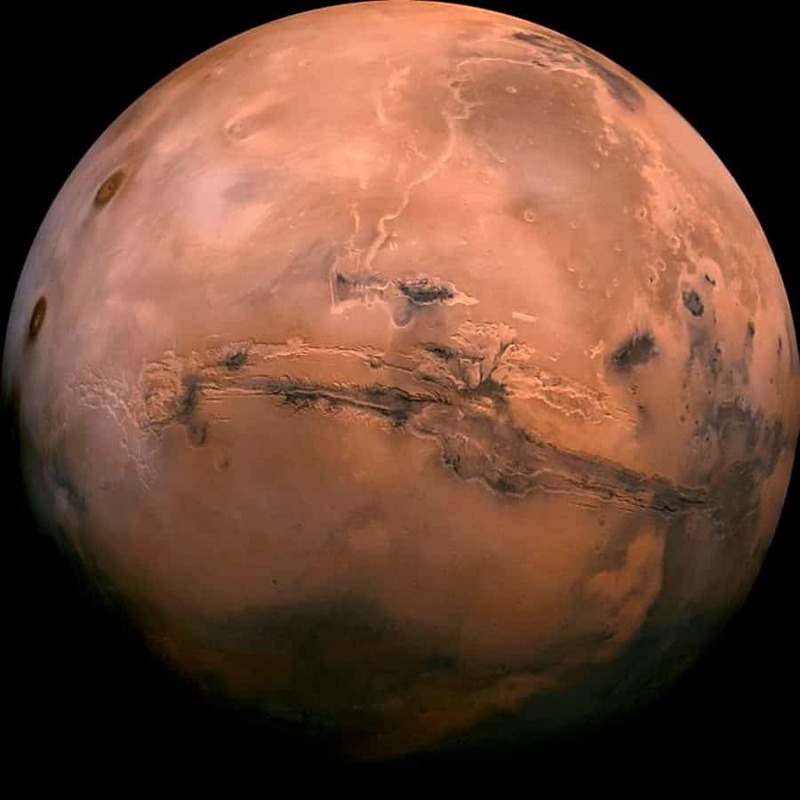 Dr Heggy said: “Understanding how groundwater has formed on Mars, where it is today and how it is moving helps us constrain ambiguities on the evolution of climatic conditions on Mars for the last three billion years and how these conditions formed this groundwater system. “It helps us to understand the similarities to our own planet and if we are going through the same climate evolution and the same path that Mars is going. The new study suggests that the groundwater that is the source of these water flows could be at depths starting at 750 meters deep.